Concerns over Face ID security continue to mount as Apple reportedly reduces sensor accuracy to speed up iPhone X production. Buzz surrounding Apple's upcoming iPhone X is huge, and much of the hullabaloo centers on the device's new facial recognition technology, which is apparently so advanced that it makes fingerprint sensors look as modern-age as cave drawings and fire-hardened wood. Well beyond the standardized facial recognition tech found in other smartphones, the iPhone X has a sophisticated array of sensors and cameras that are set to provide both convenience and security, the latter of which being a big deal for the company, as devices from other brands like Samsung can be easily fooled by masks, photos, and other low-tech means. However, this kind of technology comes at a price, and not just for the consumer. It turns out that Apple has been struggling to meet the production demands for the iPhone X, and the company's purported solution was to reduce the accuracy of the phone's Face ID technology so that the dot projector, one of the crucial components within the device's sensor array, could be more quickly produced. This information comes via Bloomberg, who states that Apple "quietly told suppliers they could reduce the accuracy" of the device's facial recognition sensors in order to make the phone easier to manufacture. This comes as a surprise, as Apple has made no small show of the safety and security inherent to the new technology. Unsurprisingly, an Apple spokesperson told Bloomberg that the "claim that [Apple] reduced the accuracy spec for Face ID is completely false," adding that "it continues to be a one in a million probability of a random person unlocking your iPhone with Face ID." Apple has had more than its fair share of trouble with iPhone X production specifically due to the difficulty in producing the device's dot projector. Toward this front, Apple has faced issues in both precision and manufacturing, with suppliers like Finisar Corp. being unable to meet the company's needs and specifications in a timely fashion. These problems are exacerbated by the highly-specific requirements needed by the dot projector, a component that requires such precision that an internal deviation of even a few microns could render the projector useless. 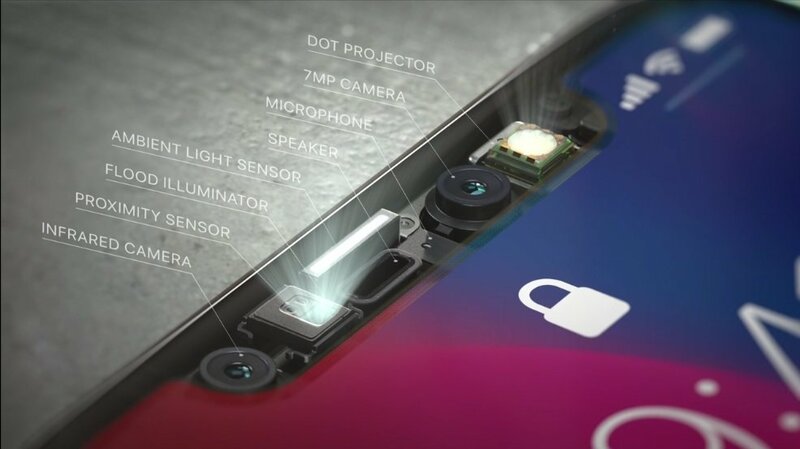 According to Bloomberg's anonymous inside source, the precision required by the Face ID system was so high that at one point only about 20 percent of the projectors manufactured by both LG Innotek and Sharp were considered usable by Apple's standards. As stated above, Apple has denied that they've changed the accuracy requirements for components within the iPhone X Face ID system. However, multiple sources close to production have provided statements that seem to confirm Apple's new relaxed requirements. Speaking in a conference call, LG Innotek confirmed that mass production on the modules has just begun, adding that manufacturing has recently improved enough that the company expects to meet the iPhone X launch date without unreasonable shortages. This seems to confirm the notion from Bloomberg's source who states that Apple has eased up on the dot projector's requirements, which cuts down on the time needed to both manufacture and test the completed modules. Regardless of whether or not these allegations are true, Apple has seemingly done its due diligence with design and testing of the Face ID system. Even if it's half as secure as the company says it is, that still only leaves a one in 500,000 chance that a stranger could unlock a user's iPhone X — and that's still ten times more secure than the company's previous Touch ID technology, which it stated was susceptible to unintentional unlocks from around one in 50,000 users. if you read between the lines, this PR statement is saying that it's still accurate enough to match their performance claims regardless of the changes they've made in production. Yeah my guess is there was some sort of trade-off they decided to make that didn't sit well with somebody internally, but that Apple feels is still within an acceptable range. Could they release a statement that you wouldn’t read that between the lines. Daring Fireball has a better than Apple response which addresses and rips apart the Bloomberg article. Great article and why I hardly ever believe these "insider sources" and click bait articles. Isn't that unusual? I thought apple had a no comment policy when dealing with rumors. They’re more likely to comment after an announcement of a release but before the release.